German police have discovered that over 300 migrants have come to the country aboard freight trains since October, media reported Monday, citing police officials. 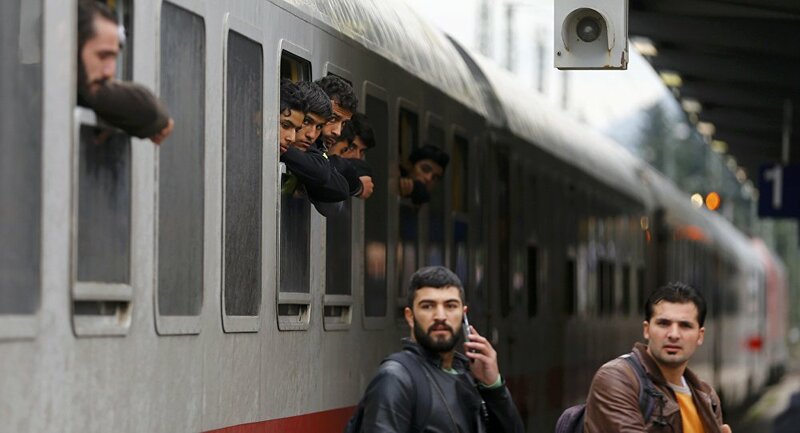 MOSCOW (Sputnik) — According to Die Welt newspaper, Munich police discovered 270 migrants having entered Germany via freight trains from Austria, while Stuttgart police found 60 asylum seekers having arrived in Germany from Switzerland. Europe is facing a massive migration crisis, which is considered to be the worst since World War II, with over half a million refugees and asylum seekers having arrived in the European Union from the Middle East and Northern Africa. Many migrants are trying to reach Germany after Chancellor Angela Merkel announced welcome policy for the asylum seekers. Since 2015, over 1 million migrants arrived in the country. Despite all EU efforts to curb the influx, migrants are still trying to enter the European countries illegally in trucks or freight trains, risking their lives. On December 3, 2016, the Austrian police found two migrants, crushed to death on a train transporting trucks, apparently trying to get to Germany.